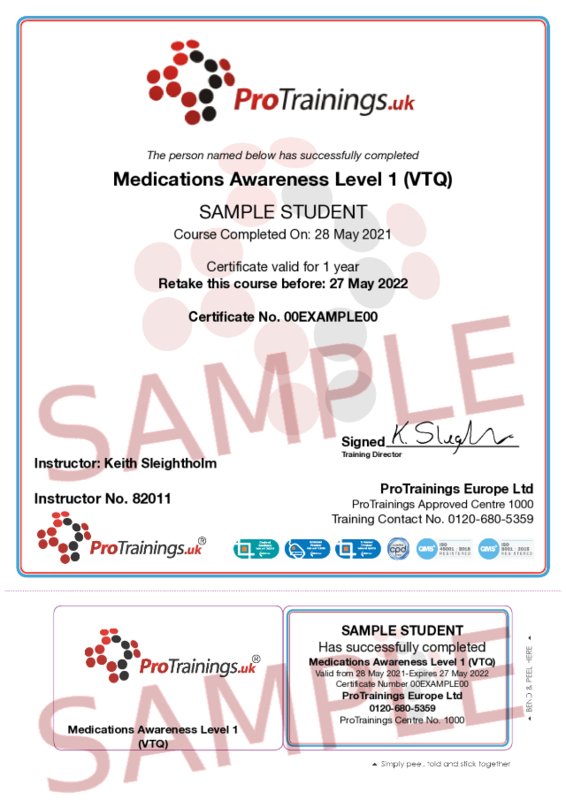 Medications training is required in many sectors including the care industry to ensure that all staff have a basic understanding of the important rules when handling medications. This awareness course gives you the basic knowledge to understand the legal framework and how the organisation's policies and procedures reflect the legal framework, for safe handling of medicines, to understand the importance of noting and reporting any changes to individuals following administration of medicines. If you would like our full medication course click here.